We are delighted & excited to announce that NAWR is expanding to Y Gelli Gandryll / Hay-On-Wye! 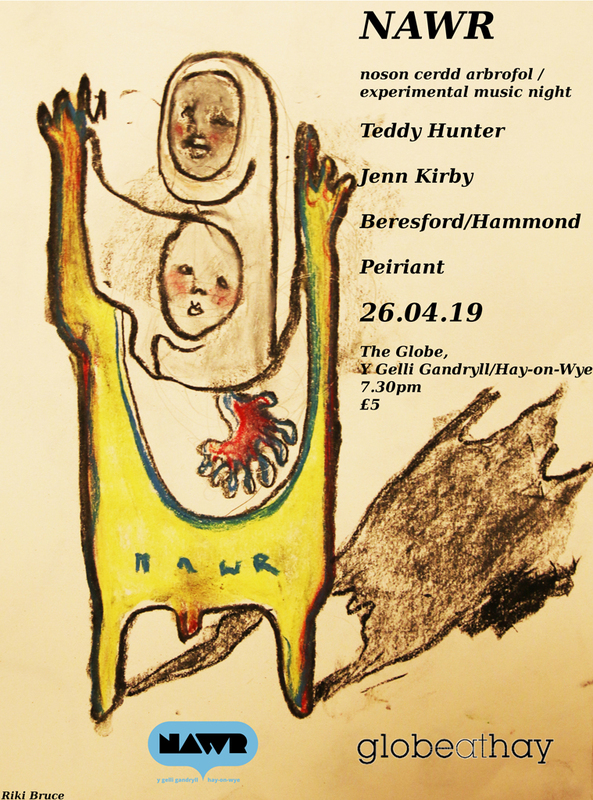 NAWR co-founders Rose & Dan are launching the first Hay NAWR concert on April 26 at The Globe in Hay with performances from Teddy Hunter, Beresford/Hammond, Peiriant & Jenn Kirby. In 2016 they teamed up with pianist Carolyn Hume to form the Beresford Hammond Hume trio and released the also much lauded album 'The Lightning Bell' through 'The 52nd'.This CD contains performances by the singer Judie Tzuke who joined them on a couple of their laid back recording sessions. So they are now following all this with a new duo recording 'Each Edge of the Field'. This nine track CD, recorded in the same free spirited attitude as the first, sees them 'hone their craft as they carve out an increasingly distinctive niche in the world of improvised music' (Jazz Mann).